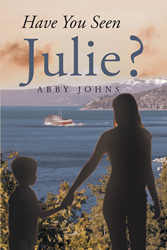 Recent release “Have You Seen Julie?” from Page Publishing author Abby Johns is an engrossing novel introducing a young woman making her way in a small Alaskan fishing town. She must overcome tragedy and sabotage in her determination to retrieve her young son from the “lower forty-eight” and return with him to the life she loves. Abby Johns, a mother and widow who loves travel and her cat, Bonnie, has completed her book “Have You Seen Julie?”: an engaging mystery and adventure that brings the rugged and breathtaking landscape of the Alaskan coast to life. Published by New York City-based Page Publishing, Abby Johns’s new book is an evocative tale of determination and courage in the face of constant challenges to life and happiness. Readers who wish to experience this gripping and potent work can purchase “Have You Seen Julie?” at bookstores everywhere, or online at the Apple iTunes store, Amazon, Google Play, or Barnes and Noble.